Garfield Minus Garfield is funny, but it’s also about five years old, making it ancient in Internet terms. It’s about time, then, that someone came along and put a new spin on the idea of taking Garfield out of Garfield comics. 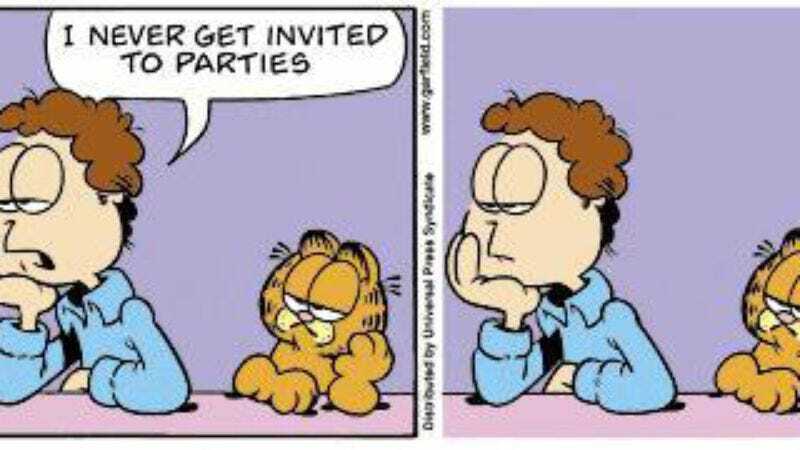 For those unaware, Garfield comics are newspaper comic strips in which a man talks to his cat and nothing is digitally removed for comedic purposes. They’re very weird.